My first Yoga Retreat was in Bali in 1999. Since then I have attended, arranged over 50 retreats in India, Sri Lanka, Tibet and Nepal. 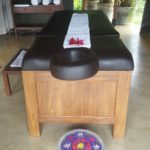 Yoga Retreats are a great way to immerse in the local culture, whilst educating yourself and meeting like minded travellers and yogis. Yoga Retreats and Yoga Tours have become so popular in recent years, that there is now an huge supply of information online and its getting confusing. Be sure you have the right advice. 1. Best places for Yoga in India – You can practice yoga all over India, however at the moment the hot spots are Rishikesh North of Delhi, Goa and Varanasi. 8. Yoga Equipment – Bring your own yoga matt and buy a nice matt cover in India. 10. Solo Travel/Women Travellers – is perfectly fine, same rule as above seek help & advice. 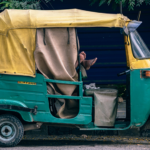 Ayurveda – An ancient Healing Method Why driving in India is safer than Sydney!